McLaren Central Michigan in Mount Pleasant will receive a new Hologic’s Genius 3D Digital Mammography machine. This new equipment will help the hospital detect breast cancer more effectively, compared to the 2D imaging machine they are currently using. The Hologic’s Genius 3D Digital Mammography is 20 to 65 percent more effective at finding invasive cancers. Plus, this machine uses less radiation. Turksy also mentions that less invasive treatments could lead to less follow-up visits. 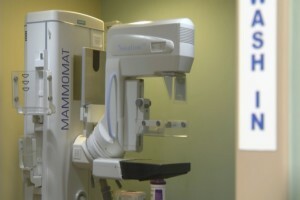 The new 3D Mammography machine will cost a total of $400 thousand, it’s expected to be installed by mid-March. So far, the hospital raised a portion of funds through a grant and with the help of local community donations. McLaren Central Michigan is currently raising more funds through different community events. For more information visit McLaren Central Michigan’s website.